I spent a part of my day today searching records on Ancestry and Fold3 for some upcoming oral history interviews at Governors Island. What makes GI so fascinating is that, given its location in New York Harbor and its longterm importance as a military installation, so much of American history can be traced back to it. The Revolution. 1812. The Civil War. The settling of the West. 1898. Both World Wars. Governors Island played a role in all of these, and I don’t mean tangentially; the island and the people who worked on it were central in all of them. One thing that gets lost on some people, including myself at times, is that the people who served on the island were just that, individuals. It is one thing to say that the First Minnesota rushed from Gettysburg to help put down the Draft Riots in 1863, or that the Big Red One left for Europe from the island after the United States entered WW1 in 1917. It is another thing to examine a Census or Pension record of a son or father who was part of it. That is why I love the oral history project so much, even though my role in it is not as large as some other volunteers’. My growing interest in these projects runs hand-in-hand with my growing interest in tracing my own family history. 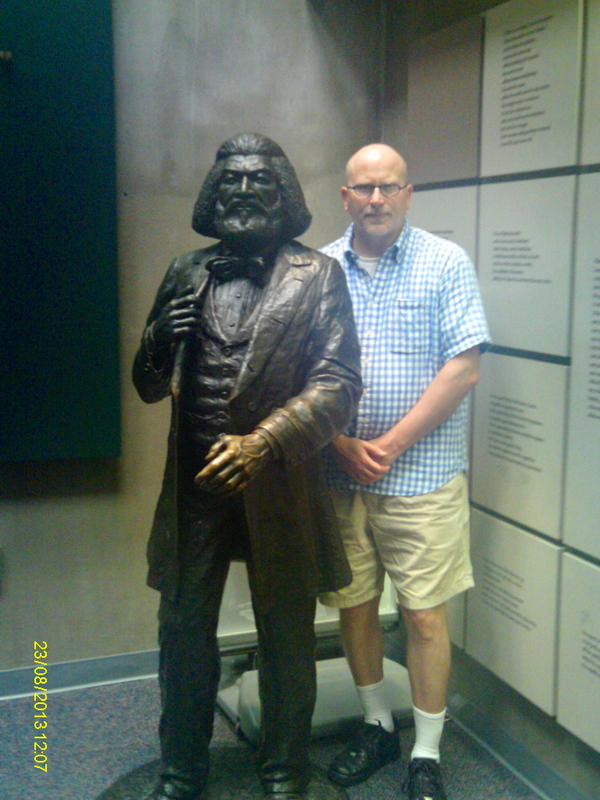 Visiting the Frederick Douglass house in Anacostia last week intensified this interest. As I mentioned in a previous post, my mother lived in the neighborhood when she was a little girl. After seeing the Washington Navy Yard from the Douglass estate, I had to dig out the above pass that my grandmother once used to visit my grandfather, a civilian employee at the facility. An aunt had given it to me several years ago, along with some old family photos. My grandparents were originally from Boston but moved to DC during the Depression and stayed until 1945 when the Second World War was winding down. They had two daughters in the process before eventually moving back to New England and staying there for good. I would have gotten back to it eventually, but all this is what inspired me to-re-up my Ancestry account. Searching records has pretty much how I have spent my evenings over the past week. I have also emailed some distant relatives to see what they might be able to add. Thankfully, I have been able to answer questions they have as well. I am old enough now (46) to realize that part of my interest in my family history is because my brother and sister and I were deprived of it. Taken by our parents from the Northeast to Florida when we were young kids, we lost touch with the extended clan. It was not hard to do in the 1970s and 1980s, when we all lived without the internet, cell phones, and everything else that makes the world more interconnected than it used to be. It is amazing how quickly you can strike up a conversation with family, even family you have never met before or seen in thirty years. What I find most moving, when searching my own family or oral history subjects, is the capsulation of a life into a few documents. Half a decade ago this would not have meant so much to me. I had my perspective changed when my father died four years ago. You cannot helped being moved seeing the dash (e.g. 1938-2009) and wondering what the story was. Whoever we are, you are part of something bigger than ourselves. The other day I mentioned that the Hayfoot and I took a Civil War metro trip to the Frederick Douglass House in Washington DC.. Here are a few pics. Fittingly given the man who lived in it, the house sits on this high ground. 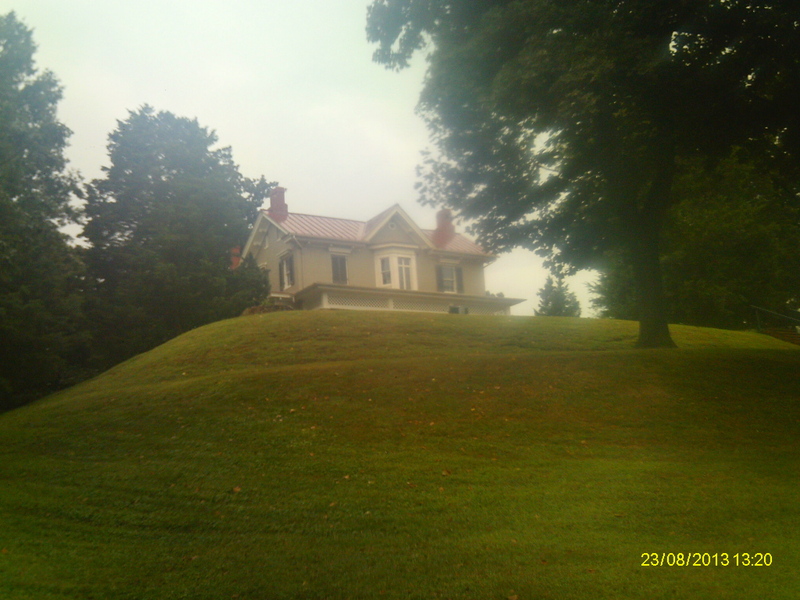 Douglass and his wife, Anne Murray, moved here in September 1877. Anne died and Frederick lived here with his second wife until his death in February 1895. He died in the house. The National Park Service gained jurisdiction of Cedar Hill in 1962 during the Civil War Centennial. The Hayfoot has a knack for taking photos when I am unaware. 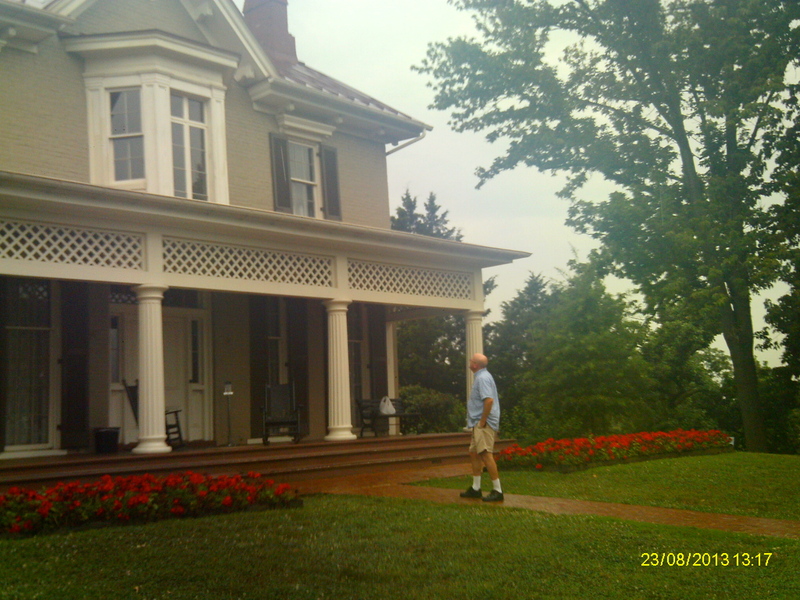 The visit to the Douglass house bookended neatly with our visit to the Lincoln Cottage in late May. They were two of the highlights of the summer. It takes some effort and perseverance to visit these more off-the-beaten-path places in the Capital. So many people just do the Mall and leave it at that. There is so much else to see if one is willing to put in the time and effort. As at the Lincoln Cottage, one gets a view of the Capitol Building from the grounds. It is best to get tickets in advance for either site to make sure you get the tour of the houses; the interiors ar accessible only by guided tour. At both places the interpretation was top notch. As a volunteer myself with the NPS, I can say that a good interpreter makes all the difference. 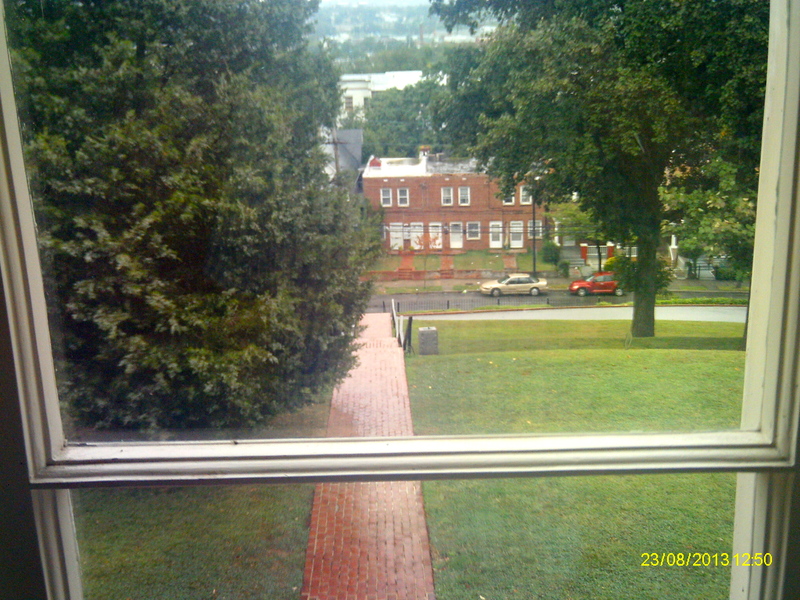 This was the view from the second story window. 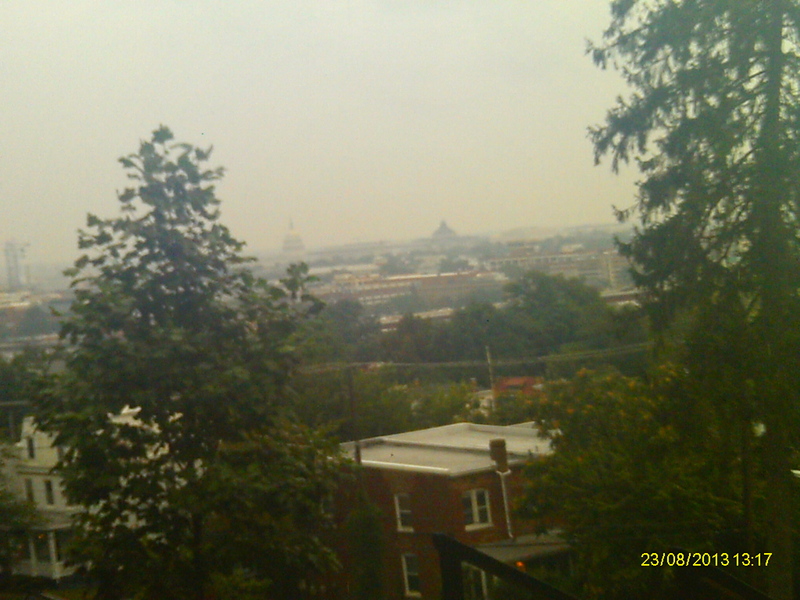 You can see part of the Anacostia neighborhood in the distance. This trip was doubly special because my mother was born in the neighborhood. 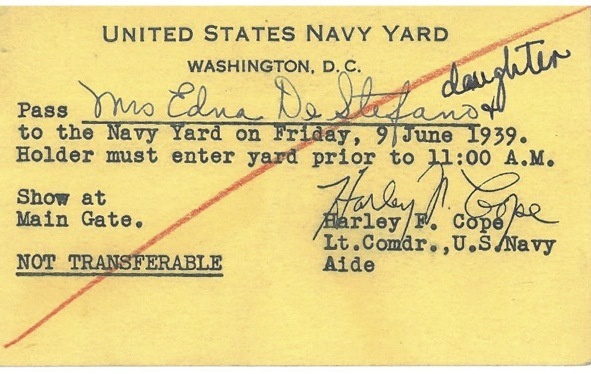 My grandfather worked in the nearby Washington Navy Yard during the Depression and Second World War. Visiting here had the added effect of getting me to renew my Ancestry account, which expired at the beginning of the summer. These past few nights I have been researching my family history while listening to the pennant races on MLB TV. I just loved that my mother lived so close to here. 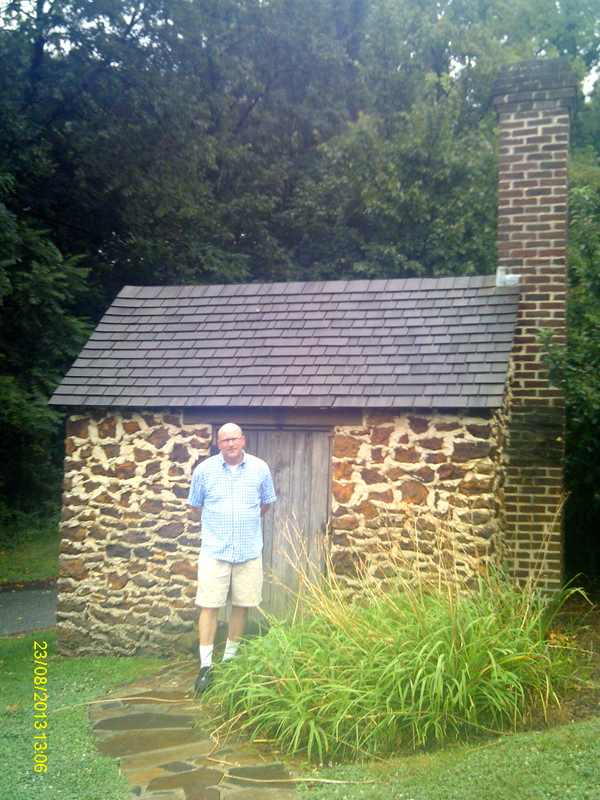 This stone cabin out back is where the great human rights leader came to get away from the grandkids and endless line of visitors who hoped for an audience with him. There was an extensive personal library in the house as well. I don’t think I fully understood Douglass the Intellectual until coming here. There is no substitute for visiting historical sites. 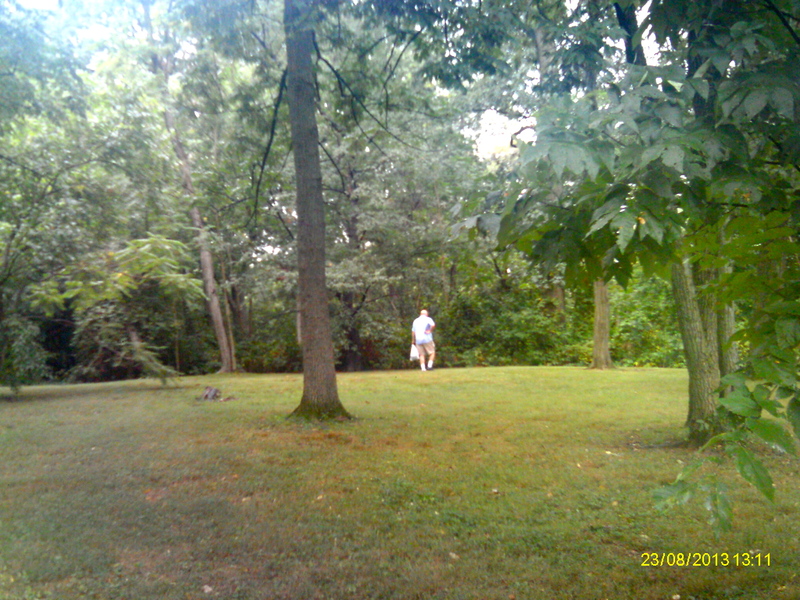 This photograph in the rear gives a sense of the size of the grounds. For an African American to own such a property in the nineteenth century was remarkable. This was inside the visitors center. The NPS staff was knowledgable and helpful. My one criticism is that the film, which appeared to be from the early 1980s, is a tad dated. Hopefully they will remedy that in the future. The Douglass bicentennial, a short five years away, seems a good opportunity to do so. When I was a graduate student I was taking a course on the Gilded Age and asked the professor what he considered the best Douglass biographies. He said there were a few competent ones, but that an authoritative one is still waiting to be written. We will see what happens in the next few years. I just got back from the Mets game. Cliff Lee threw eight innings of one run ball before handing it off to Jonathan Papelbon for a Phillies save. The worst news of the night was not the Mets loss but that young phenom Matt Harvey is done for the year, and maybe next year, with a tear in his pitching elbow. One hates to see that with any player, let alone a twenty-four-year old. What do Abraham Lincoln and the New York Mets have in common? 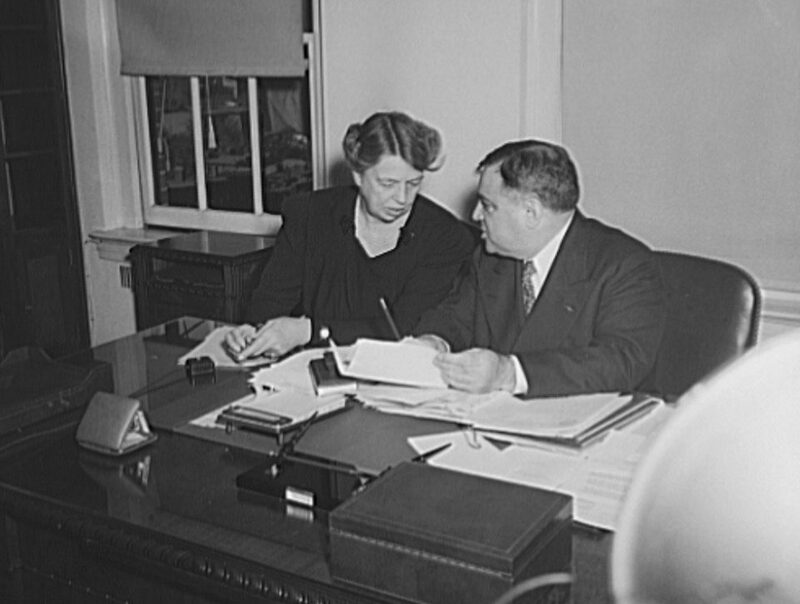 The answer is Joan Whitney Payson, the team’s co-founder and original owner. Payson was the daughter of Helen Julia Hay, which makes her the granddaughter of Lincoln’s personal secretary John Hay. Joan’s mother, Helen, married into the Whitney family at the turn of the twentieth century, bringing together two of the leading families of the era. Our tendency is to think these people lived in a far distant time, but Payson did not pass on until 1975. Her and her husbands personal effects were auctioned in 1984. 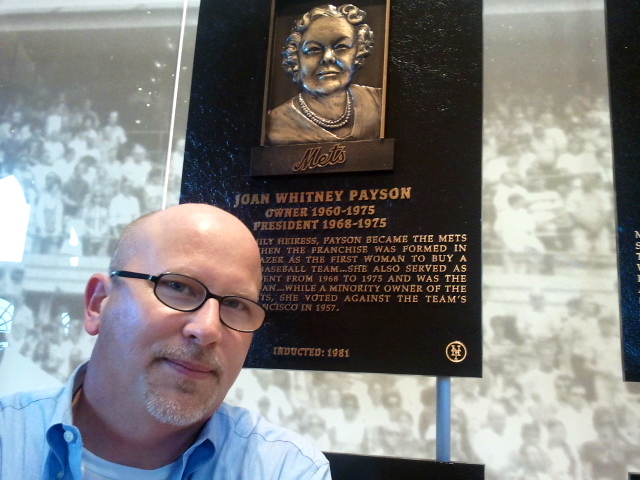 I had seen her plaque in the Mets Hall of Fame before, but had not known who she was until reading John Taliaferro’s All the Great Prizes: The Life of John Hay, from Lincoln to Roosevelt earlier this summer. Of course I had to have a friend snap the photo above prior to tonight’s game. I just got back from DC. It was good to get away for the week. The weather was glorious. We went to the Frederick Douglass house on Friday, which was something special. I intend to blog about it later in the week. Right now I am winding down with a cup of coffee and the Red Sox-Dodgers on the radio. 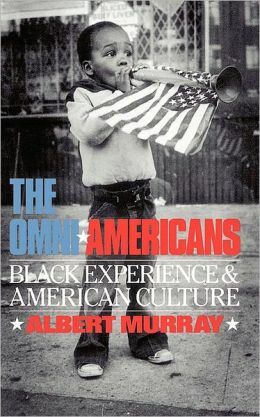 Going through the pile that is my in-box, the one thing that leaped out at me was the death last Sunday of the great Albert Murray. I intend to write more about Murray too, but am too exhausted at the moment to do so. I first heard of him when working on a project in library school about his great friend Duke Ellington. Coincidentally an article about Murray appeared in the September 1996 issue of American Heritage, a magazine I read avidly at the time and eventually outgrew. If nothing else it gave me an introduction to Murray and his ideas. It’s funny how things work that way sometimes. I once saw him in the Strand bookstore and he looked up at me with the mischievous smile. I did not say anything to him, but it was obvious that he knew I was aware of who he was. I will never forget it. I could go on but think I will save it. Obituaries here and here.
. . . and yours truly is taking the week off. Posting will resume on the 26th. Enjoy these final days of summer. I suppose it has become my destiny to flog the coming of the Good Ol’ Freda documentary, which is to hit screens and iTunes on September 6. The trailer was released yesterday and offers a hint of why the film should be so special. Watching it, one understands why it was she who was chosen to be their secretary; her wit, intelligence, and tact are so readily apparent. My favorite part of the trailer is when she passes when asked if she ever went out with any of them. Watch the snippet and your day will be that much better. 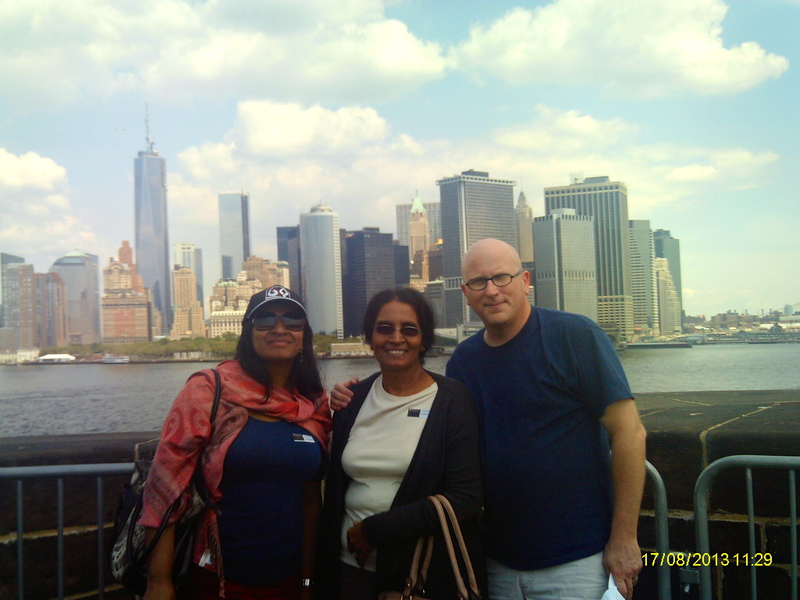 About a year ago I posted an announcement describing an August 2013 tour of the Yankee, a ship built in 1907 that had a rich and colorful history before becoming an immigrant ferry boat at Ellis Island. The Yankee is in fact the last existing Ellis Island ferry boat, which is saying something if you stop and think about it. 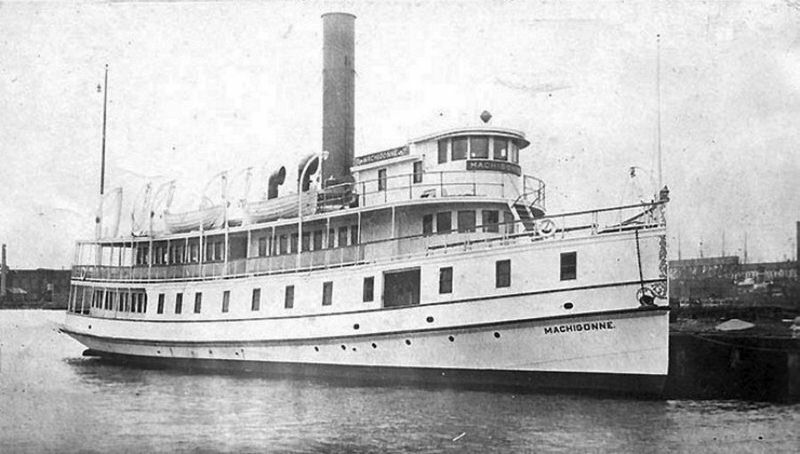 The ferry is owned by Victoria and Richard Mackenzie-Childs and, until recently, was docked in Hoboken, New Jersey. Well, the couple have moved across the harbor to Red Hook, Brooklyn and have begun a new chapter in the Yankee’s 106 year history by preparing to open it up as a sort of floating meeting place and cultural center. Red Hook is a better neighborhood to make a go of it; it is a former working class neighborhood in our fair borough that has been steadily and inexorably transforming into a hipster conclave in recent years. This project is destined to be either a disaster or a stroke of genius. I would love to see the venture succeed provided the owners respect the rich tradition of the boat and its unique role in our history. Frivolity is an important part of life, but I get peeved when I visit an important place and find people engaging in some type of organized silliness. I must say they seem to be putting the love in. I may have to take a field trip this fall and investigate for myself. I noted with great sadness the passing of football great Art Donovan earlier this week. Among other things, Donovan played in the 1958 NFL championship game between the Baltimore Colts and New York Giants. Sometimes called The Greatest Game Ever Played, that contest signaled the arrival of professional football as a major sport. Until this time college football still predominated in the national consciousness. They played in Yankee Stadium and the Colts won 23-17 in overtime. When journalist David Halberstam was killed in an automobile accident in April 2007, he was en route to interviewing Giants quarterback Y.A. Tittle for a book about that game to be published for the 50th anniversary in 2008. Frank Gifford finished Halberstam’s work, which included many great stories about the characters who played in that long ago game and era. I was too young–okay, not yet born–to remember Donovan’s playing for those great Baltimore Colts teams of the late 1950s and early 1960s. I remember him for his appearances on David Letterman in the early 1980s. Even then Donovan looked like someone out of another time with his crew cut and uncalculated demeanor. Letterman’s style was still fresh and new at that time; his detached irony, not yet mimicked by others and coming late in the night at the 12:30 am time slot, contrasted well with the more cerebral Johnny Carson. Donovan was a always a great guest, self-effacing and funny, but obviously intelligent and aware at the same time. Memory is a tricky thing–this is more than three decades ago now–but I seem to remember Donovan recounting a tale of eating a case of spam as part of a bet with his Marine buddies during WW2 while stationed in the Pacific. He indeed ate the whole thing. 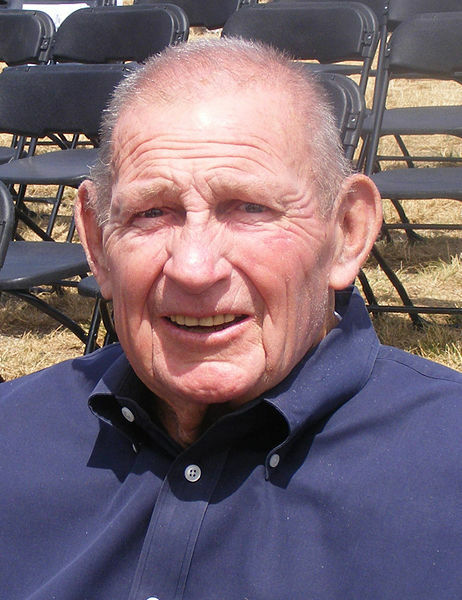 What I did not know until reading his obituary in the London Guardian, was that Art Donovan Jr. was part of a prominent family in American sport and military history. His father, Art Sr., and grandfather, Mike, are both members of the Boxing Hall of Fame. It gets better. Mike Donovan was a Civil War veteran who fought in the Battle of Chattanooga. 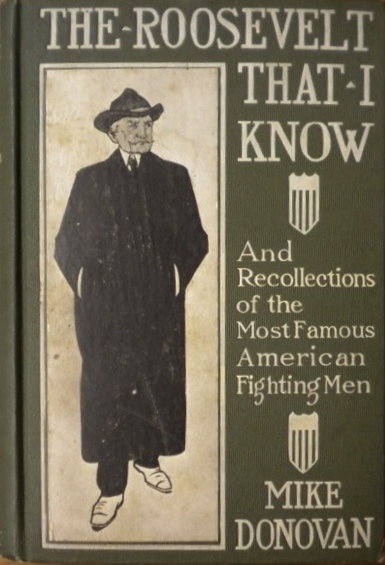 After the war he ended up in New York City and became a prominent boxer and trainer, going on to teach none other than Teddy Roosevelt the finer points of the Sweet Science. His son fought in the Great War and afterward became one of the greatest referees of the twentieth century, calling the Louis-Schmeling fight at Yankee Stadium–the place where his son, Art Jr., helped bring professional football into the modern era two decades later. It is an incredible story. The world seems a little emptier without Art Donovan.